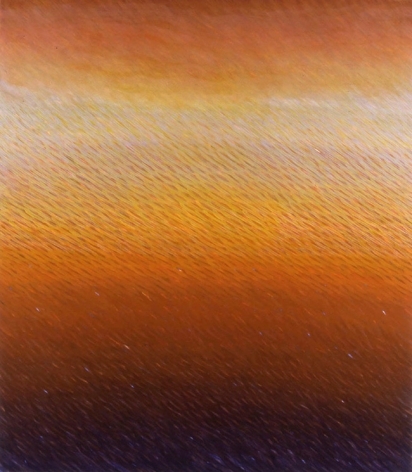 Joan Vennum is a New York-based artist who creates luminous, color-flooded paintings that explore spatial environments. They are at once abstract and figurative. 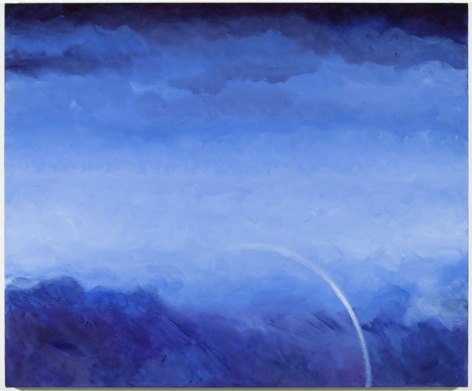 Best known for her ethereal canvases of repeated layers and gradations of color fields, Vennum has roots in post-abstract expressionism and portrays the illusion of limitless space, as it appears both in her imagination and in the natural world. A native of New York, Vennum studied art at the University of Illinois, Champaign, and at Washington University in St. Louis. Her main inspirations have been the works of Mondrian, de Kooning and, particularly, the Dutch Old Masters' use of space and minute detail. More importantly, two events affected Vennum's artistic point of view during her early development. As a child she was mesmerized by the New York Planetarium's simulation of the universe and the vastness and mystery of space. Then, as an adult, a trip to Sicily revealed the impact of weather on the landscape, the coming together of the elements on the horizon and the spectacle of the sea. The dynamism of the elements and the vastness of space are made present in Vennum's images through a combination of simple forms and intense surface detail. As Vennum says, "My goal is to express a large concept visually using what appear to be the simplest forms." 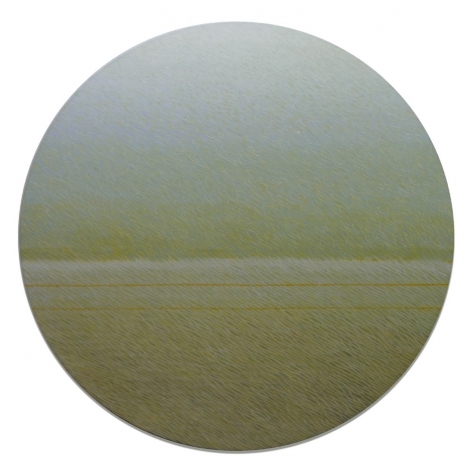 On rectangular or circular canvases, Vennum's dense stippling, scratches and marks in vermilion, blue or milky white rise and recede in a vibration that pulsates with life force. Surface colors blend in a slanting motion conjuring a driving rainstorm; lights fade into darks suggesting the depths of the universe. Three-dimensional space is created through color and line only to be destroyed by the attention drawn to the surface of the painting itself. These processes produce an ambiguous space filled with light, grace and splendor. 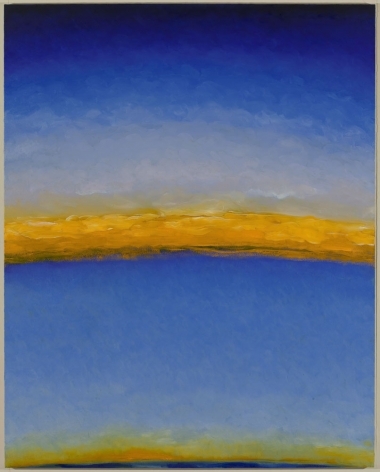 As poet and art historian Corrine Robins noted, Vennum's works "focus on ideas of equilibrium in the universe and on the breath, the momentary pause and the nature of color and light." Though she is an abstract artist, with roots in the post-abstract expressionist camp of women painters such as Lee Krasner and Joan Mitchell, her painstaking interest in surface detail is what makes Vennum's work unique and serves as the catalyst for her pictorial dynamism. Vennum has stated, "My work is built in the way of abstract expressionism in the sense that the process is a discovery, yet my discovery takes place in meditation. Eastern philosophy makes it clear that original ideas can only proceed from a clear place . . . and if I am patient, there will be the moment when I know I have found my way." 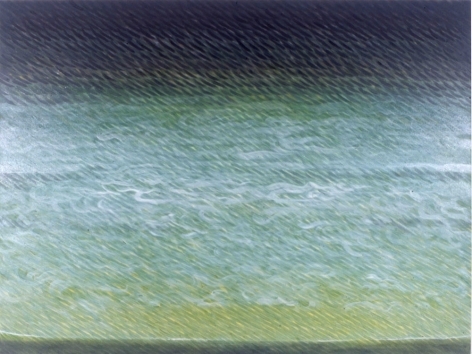 Joan Vennum’s work is in the permanent collections of the Brooklyn Museum, New York; The Power Collection of Contemporary Art, Sydney, Australia; the Konstmuseet, Uttersberg, Sweden; the Skandia Försäkringsbolag, Stockholm; and the Museo Civico, Taverna, Italy. 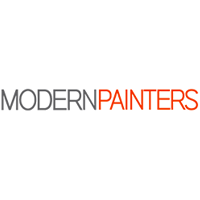 Sundaram Tagore Gallery has been named one of the top galleries in the world by Blouin Artinfo and Modern Painters magazine. For his second solo exhibition in Hong Kong, California-based American painter Lee Waisler presents a series of moving portraits of historical and contemporary figures. Having practiced abstraction for decades, Waisler returned to figuration full-force six years ago, making what he calls "dimensional portraits," combining strips of wood and blocks of color to create nuanced faces and figures. 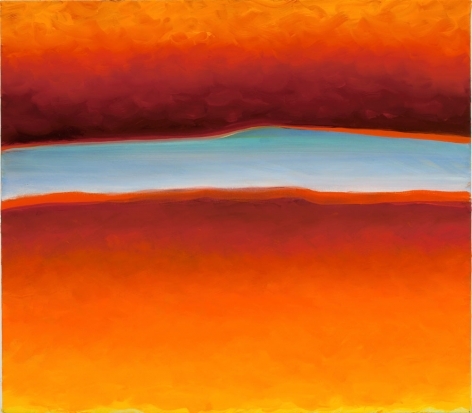 "Joan Vennum is a New York-based artist who creates luminous paintings flooded with color. She is known for her dreamlike canvases covered with thin layers of repeated brushstrokes.This newest series of oils emerged from Vennum's recent journey through India. " 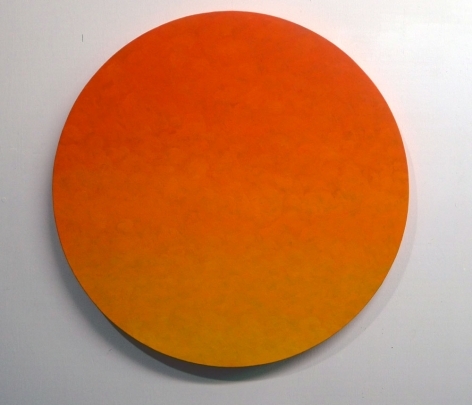 "New works by American artist Joan Vennum inspired by India. 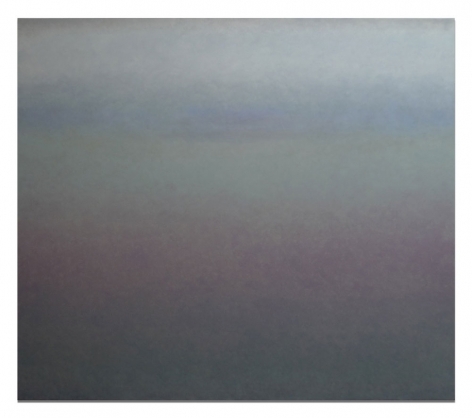 Composed of broad fields of colour, the paintings invite viewers into a realm governed by imagination and nature. 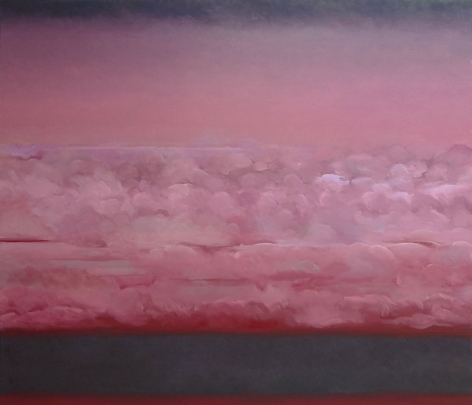 Collapsed horizon lines conjure an infinite and encompassing space"
Joan Vennum is New York-based artist who creates luminous, color-flooded paintings that are at once abstract and figurative. 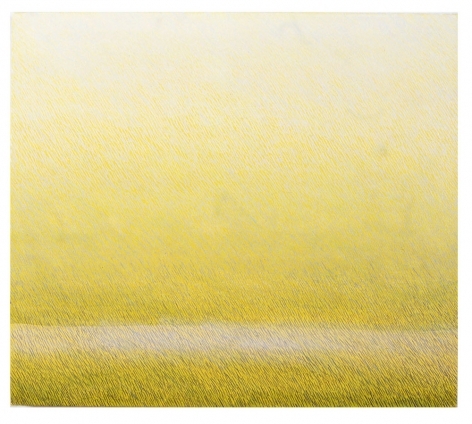 She is known for her dreamlike canvases covered with thin layers of repeated brushstrokes. "...Art Chicago found a new home this week at the Merchandise Mart and now may never leave." "Vennum works in patterns that seem familiar, natural and continuous..."